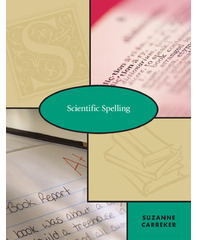 The Neuhaus Education Center’s Scientific Spelling is a supplemental resource to support spelling instruction in grades 1-8. Materials are available in print format. Instruction focuses on the patterns and rules for spelling in the English language and strategies for memorizing the spelling of words that do not fit these patterns and rules. Learning List recently completed reviews of the materials for grades 1-8. Instruction is systematic and focuses on the structure of words in English, including recurring spelling patterns and rules, and provides strategies to support the spelling of words that do not adhere to patterns and rules. Content is broken into five chapters: (1) Phonology, (2) Regular Words, (3) Rule Words, (4) Irregular Words, and (5) Procedures. Phonology instruction is emphasized in the early elementary grades, and teachers are encouraged to revisit phonology instruction as needed in later grades. Subsequent instruction focuses on analyzing and categorizing words in three groups: Regular Words, Rule Words, and Irregular Words. Regular words are those that follow clear patterns or the rules of English; students generally can sound these words out (e.g., cat). Lessons addressing regular words emphasize the breaking of words into their component letters, clusters of letters, and syllables and then analyzing sounds to determine spelling. Rule words may be spelled by sounding out, so long as students are aware of some spelling rules. Instruction on rule words presents spelling rules, such as the Doubling Rule (e.g., hop+ed=hopped) or Dropping Rule (hope+ed=hoped), that help students sound out words. Irregular words are words that students must memorize in order to spell correctly (e.g., ghost), and the chapter addressing irregular words provides memorization strategies. More information about Neuhaus Education Center products is available here.